Many people think in terms of either/or: either you're nice or you're tough. Win-win requires that you be both. It is a balancing act between courage and consideration. To go for win-win, you not only have to be empathic, but you also have to be confident. You not only have to be considerate and sensitive, you also have to be brave. 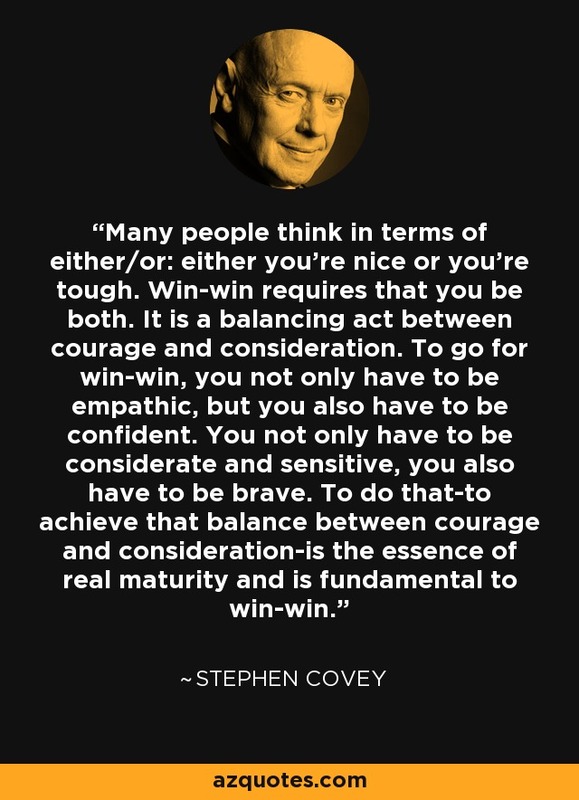 To do that-to achieve that balance between courage and consideration-is the essence of real maturity and is fundamental to win-win.